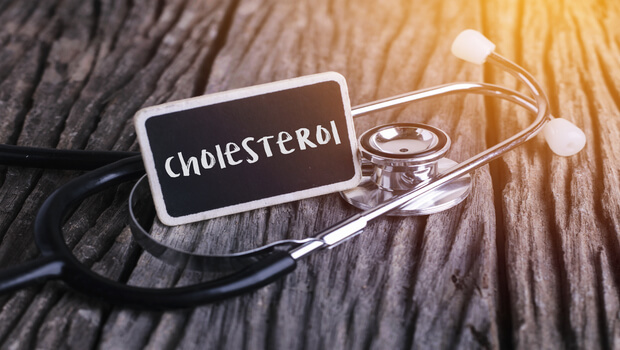 For decades, many have claimed, although the research is very sketchy, that cholesterol was the main enemy when it came to cardiovascular disease risk. But in the last several years, the latest research on cholesterol seems to be getting more and more complex and convoluted. Plus, fully half of all heart attacks occur in people who don't have high cholesterol. So that can't be the only answer. It's not. And new research published in the New England Journal of Medicine is supplying another piece of the puzzle. While you certainly don't want your blood vessels to get clogged up with cholesterol, that's not the only thing that can obstruct them. Inflammation can also reduce blood flow, putting your heart at risk. Researchers at Brigham and Women's Hospital recently wrapped up a 25-year study designed to determine whether targeting inflammation in people who had already experienced a heart attack would help keep them from having another cardiovascular event. This study included over 10,000 participants who had experienced a heart attack and had consistently high levels of high sensitivity C-reactive protein (hsCRP), an indicator of inflammation. The patients were divided into four groups. All the groups received the same standard of care, including a statin (you can read my take on statins in the archives to see if I think this should be considered "care"). One group also received a placebo, while the others received 50, 150, or 300 mg of canakinumab, an inflammation-targeting drug. The two groups receiving the most canakinumab each experienced a 15% reduction in their risk of experiencing a cardiovascular event, including a heart attack or stroke. They were also at a reduced risk of unstable angina requiring hospitalization. Plus, they reduced their need for interventions like bypass surgery and angioplasty by over 30%. Since in general people who have survived a heart attack have about a one in four chance of experiencing another cardiovascular event within five years, these findings are significant. So, here's some good advice. Make sure your doctor checks your CRP levels. If they're in the low normal range, then congratulations. Your risk of heart disease is that much lower. But if it's elevated, taking the right measures to reduce it makes a lot of sense. However, I don't think you need a drug to do it. Fortunately, there are easy, natural ways to reduce inflammation throughout the body. Start with the basics: eat whole, unprocessed foods; get enough sleep; and make sure your stress levels are under control. Then step your inflammation-fighting efforts up with Reduloxin. This blend of nine herbs and nutrients targets and soothes inflammation throughout the body, and that, according to this and other studies, will lower your risk of a cardiovascular event.